» How much should you spend on DJ entertainment? Best of Times would like to thank you for considering our service for your special Celebration. As wedding experts in our field, we know your wedding day will be one of the most important and memorable events in both of your lives. We wish for you to enjoy it to the fullest. Best of Times is a professional Disc Jockey entertainment service with more than 29 years experience. We are dedicated to providing a unique entertainment experience. 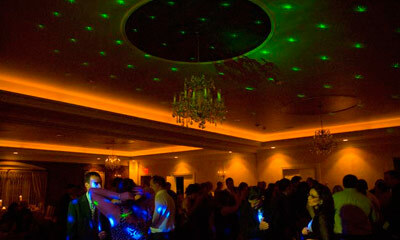 We strive to provide the highest standards of DJ entertainment. We provide quality, affordable, and reliable DJ entertainment from a company you can trust. We will present you with elegance, sophistication, great music and fun for all ages. It’s a celebration, and with detailed pre-wedding planning we will personalize the DJ entertainment to fit your style, your dreams and your expectations. When you select one of our many wedding services to be a part of your special celebration, you will have assured yourself worry-free entertainment. We offer many services you need to plan a worry-free wedding. We can save you time and money when you book multiple services. Our reputation speaks for itself! Choose Best of Times and experience why many of the area’s finest country clubs, banquet facilities and major hotels placed Best of Times at the top of their reference list. And with praises of thousands of happy clients considering us the best wedding DJs in Philadelphia, New Jersey, Delaware and beyond. 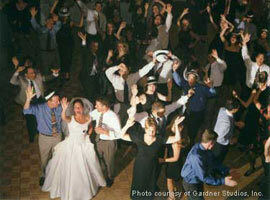 Your DJ will play just the right music and announce all events throughout the celebration. Your DJs will play just the right music and announce all events throughout the celebration, interact with all ages, lead and instruct popular dances and take fun to the next level. We provide non stop interactive fun that includes fun props and giveaways for all ages. You have the option to select the giveaways and props. Your guests can take these along with them. This package includes a small sound system along with microphones and microphone stands. Monogram: A personalized light with your date, initials, or text that is directed on the dance floor or wall. Light-up Dance Floor: Dance the night away on a LED floor. There are endless colors and patterns available. Book now for a celebration of a lifetime. Due to the high demand of our talented DJs, we recommend that you reserve your date at least 10 months prior to your celebration. Contact us, so we can help you plan the best wedding reception that you and your guests will ever attend. After all, our name says it all! You deserve the Best of Times…And that’s what you’ll get.